Centered on the Caroline area of West Central Alberta, Canada, this news service is updated daily with reports of community events, area news and wider political issues. The Alberta Government's proposes legislation to limit the export of petroleum resources from Alberta. "If passed, Bill 12 would require specified individuals and corporations—at the discretion of the minister of energy—to obtain a licence prior to exporting any quantity of natural gas, crude oil or refined fuels from Alberta." "Export from provinces of resources. In each province, the legislature may make laws in relation to the export from the province to another part of Canada of the primary production from non-renewable natural resources and forestry resources in the province and the production from facilities in the province for the generation of electrical energy, but such laws may not authorize or provide for discrimination in prices or in supplies exported to another part of Canada." Read the last part of the last sentence: "but such laws may not authorize or provide for discrimination in prices or in supplies exported to another part of Canada." That means that any limitations placed on exports to BC also apply to all other parts of Canada. Take some time to consider the implications for Alberta and Albertans. The Caroline Community celebrated the work of its volunteers at the Caroline Legion on Monday, April 16. 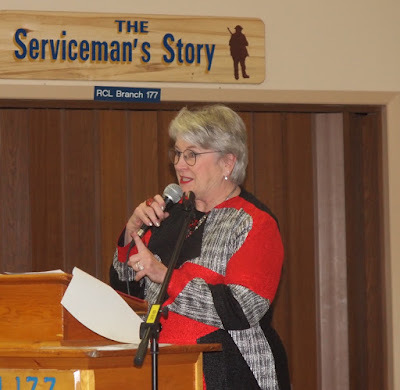 Of the 280 people nominated by their peers as volunteers for the community about 100 attended the event and received due recognition for their work. 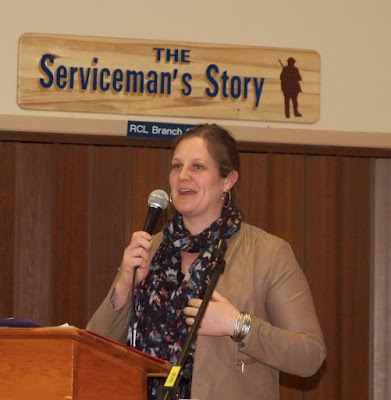 MC for the event, which is now in its 14th year, was Sharleen Thornberry who introduced speakers and handed out well deserved door prices donated by local businesses, organizations and individuals. Special recognition was give to Lillith Nuzum as the Outstanding Youth Volunteer, Amanda Archibald as the Volunteer of the Year and Helen Willigar as the Lifetime Achievement Volunteer with some 50 years of service to the Caroline Legion. The event was sponsored by the Clearwater Regional Family and Community Support Services Board and carried out by volunteers from the Caroline Neighbourhood Place Society.